Data from a discrete choice experiment on improvements of rural landscape attributes are used to investigate the implications of discontinuous preferences on willingness to pay estimates. Using a multinomial error component logit model, we explore differences in scale and unexplained variance between respondents with discontinuous and continuous preferences and condition taste intensities on whether or not each attribute was considered by the respondent during the evaluation of alternatives. 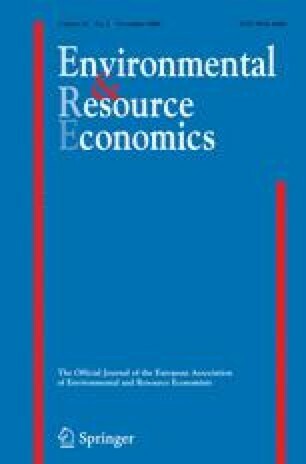 Results suggest that significant improvements in model performance can be achieved when discontinuous preferences are accommodated in the econometric specification, and that the magnitude and robustness of the willingness to pay estimates are sensitive to discontinuous preferences.